We live in the ‘mobile’ age where majority of personal and professional tasks are carried out on this pocket-sized gadget. While people are addicted to their mobile phones, analysts are busy finding out the possible reason for this drastic change in behavioral pattern of users. Flexibility, convenience and on-the-go access are spotted as the core reasons for changing preferences of users from desktop to mobile phones. As the importance of mobility came to light, businesses jumped into the bandwagon to become early adopters and gain a competitive advantage. In an endeavor to make the most of this mobile age, businesses are shifting their focus from traditional advertising to developing a mobile app. Entrepreneurs look at it as an effective medium to improve its brand visibility and customer service. Every business move must have a goal and planned strategy to achieve it. The same goes true for development of mobile app too. While you are decided on building a mobile app, get a clarity on what do you plan to achieve with this app. Know who is going to use your mobile app. This aspect is important as the design and navigation of mobile app is finalized based on demographics. For tech-savvy audience, a high-end and little complex app structure is preferred, but for common people, an easy to use interface and simple navigation is the best option. Which are the key performance indicators (KPIs) of your company? Analyze these elements and include them wisely in the mobile app. It is these things that would make your app meaningful and improve its utility to users. Why would any user download your app? How would it help him? Keep in mind these questions and work on its fulfillment. Your mobile app should provide best answers to these questions to make it user-oriented. Remember that your app will be used by people only when it satisfies their need in minimum number of clicks. To start building a community before the release of mobile app is fruitful as when the app is launched, it already has a set of audience interested in exploring its features. Marketing efforts if started early help in getting expected results in less amount of time. Organized efforts in the right direction are possible when there is a defined Mobile App Development Strategy in place. This makes it important for entrepreneurs to discuss app strategy with professionals of mobile app development company when handing over the work to them. 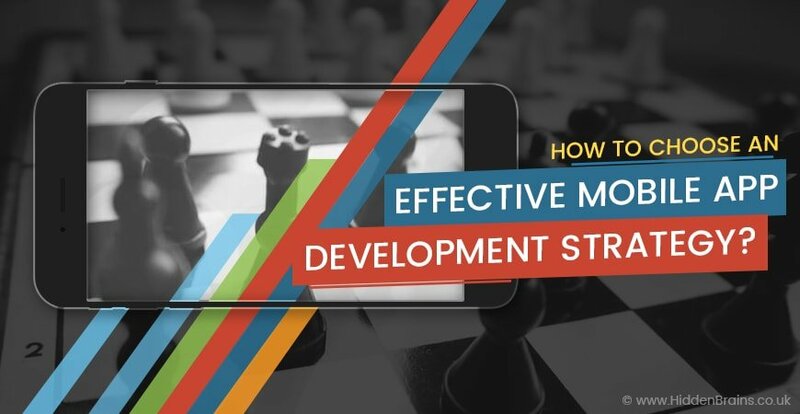 An effective mobile app strategy is the key to successful development and deployment. Wish you good luck for your mobile app project!